Note: This pack is a special download for Patrons. You'll get a download key if you subscribe to my Patreon page. This character pack is compatible with all graphics in my Time Fantasy RPG style. Elemental (fire and ice) skeletons and lich-lords. Two necromancers (male and female) with human and undead forms. 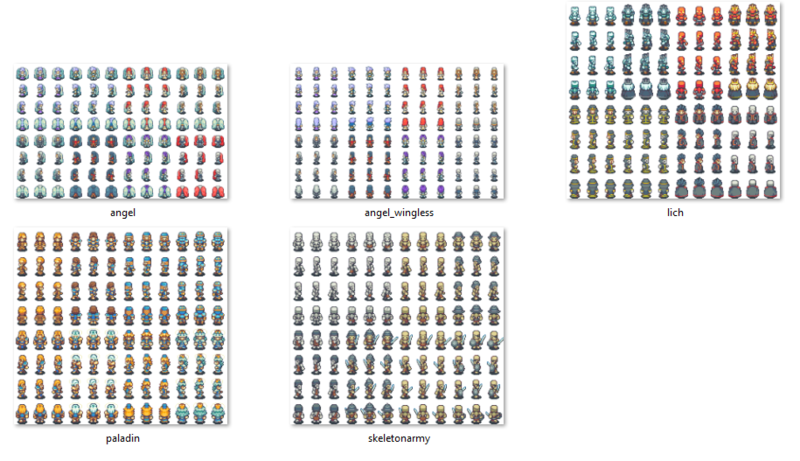 Downed/dead sprites for the skeleton soldiers. 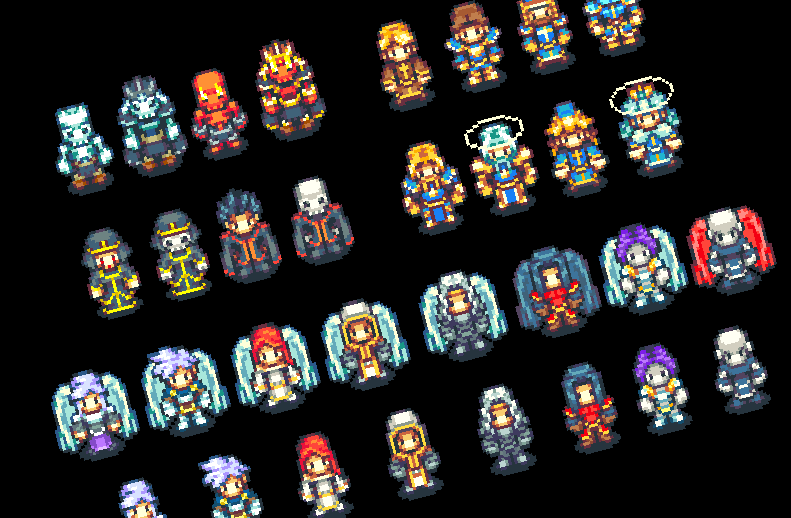 (The angels come with and without wings, so they can be used as regular characters)! 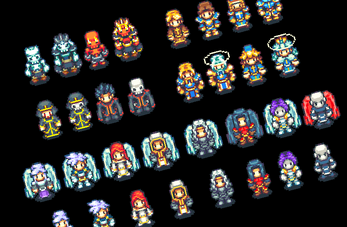 This pack includes versions of these sprites formatted for use in RPGMaker VX/Ace and RPGMaker MV, as well as sprite sheets in a regular 100% size. 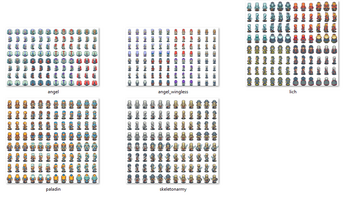 Also includes individual frames as separate images. Check out my website at timefantasy.net for updates and freebies.